Fairmount Cleanup! 11/9! Win tix to Eastern State! Join us on November 9th for a great fall cleanup in Fairmount! All of the details are on the flyer below. And register early for a chance to win tickets to Eastern State Penitentiary’s regular tour! Keep Philadelphia Beautiful in the Inquirer! Check out our letter to the editor in yesterday’s Philadelphia Inquirer! We are proud to help spread the word about Keep America Beautiful’s I Want to be Recycled national campaign to encourage recycling across the country. We couldn’t be more excited and proud to share the following news with you! Philadelphia, PA (September 5, 2013) – National nonprofit Keep America Beautiful (KAB) and Waste Management (WM) awarded Keep Philadelphia Beautiful a $10,000 Think Green® Grant. 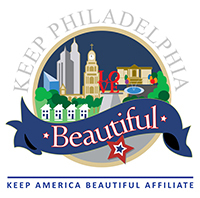 Keep Philadelphia Beautiful’s Think Green® Grant is one of 10 awarded to KAB affiliates across the country….